Let me introduce you to a very popular young boy who has quite a lot of fans around the world. His name is Henry and he is actually quite horrid. Yes, Horrid Henry is a boy who gets into mischief and knows how to work around things to get what he wants, even if it means using his little brother, Perfect Peter. In his latest book, Horrid Henry’s Monster Movie , Francesca Simon shares four new tales about Henry, his family, his friends, school, and many misadventures. This time, we watch as Henry makes a monster movie, has a horrid weekend, utilizes magic grump cards, and hosts his own Olympics. 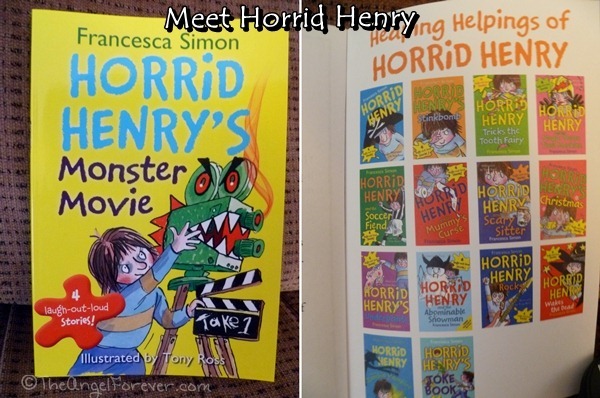 Prior to receiving this book from Sourcebooks Jabberwocky, I had heard about Horrid Henry, but never read them before. JSL, 5, and I used this as our read aloud book for two evenings. He laughed and enjoyed the antics of Henry. I liked that although Henry’s actions were not so nice, they lead to nice conversations about manners, vocabulary (lots of new adjectives), and how to be a friend. 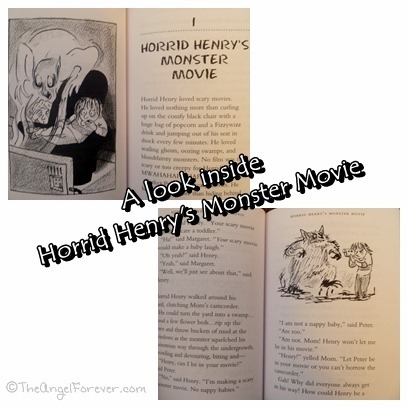 Henry really is loveable and the humor from Simon, along with the illustrations from Ross bring Henry to life. 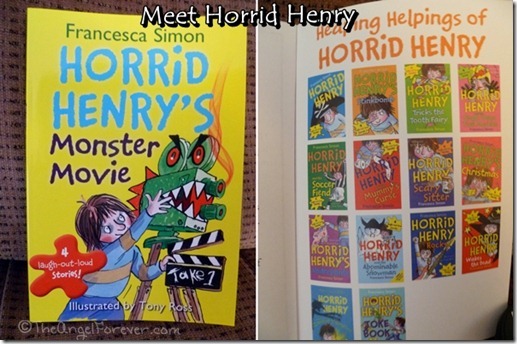 If you are looking for more information to use with the Horrid Henry series, Sourcebooks has a great resource page. Here you can learn more about Henry, find a downloadable teacher guide, activity pages, and more. Horrid Henry is also a popular cartoon in the UK, so keep your eyes open for details in other spaces and places. Please be sure to see the rules listed within the Rafflecopter widget and below. To enter, please follow the rules above within the comment section and Rafflecopter. Giveaway begins October 23, 2012 and ends November 1, 2012. You do not have to be a blogger to enter, but must leave a valid e-mail address for me to contact you for mailing address once the giveaway is over. You will have 48 hours to claim the prize. If there is no response, another winner will be selected. Open to US and Canada residents only. Disclosure: I received the book reviewed above complimentary Sourcebooks in order to facilitate this review. No other compensation was received and all opinions are 100% my own. This giveaway is sponsored by Sourcebooks who will fulfill the prize package to the giveaway winner. Four Amazon Affiliate links are included in this post for the books in the giveaway. I will receive a percentage of money for the sale should you opt to buy the book through that link.